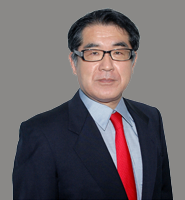 Dr. Yura has more than 28 years’ experience in Medicinal and Organic Chemistry, beginning his career with Tanabe Seiyaku Tokyo Research Center where he worked as Research Chemist. Post this he was associated with Ciba Geigy Japan (Takarazuka Research Center), Bayer Yakuhin (Research Center Kyoto), Pfizer Japan (Pfizer Global Research and Development Nagoya Laboratories) and Dishman Japan Ltd.
Before joining us he worked with Albany Molecular Research Singapore Research Centre, Pte. Ltd, as Vice President, Discovery and Development Services for Asia and General Manager for Singapore Research Centre. At AMRI he was responsible for, AMRI Singapore Research Centre's chemistry and biology operations and AMRI Hyderabad Research Centre. Dr. Yura was awarded the PhD degree in Chemistry from University of Tokyo, Japan. He has completed his Executive MBA program from Temple University, Tokyo, Japan. He has many papers to his credit in International Journals apart from Abstracts and Posters. He has 15 patents to his credit.